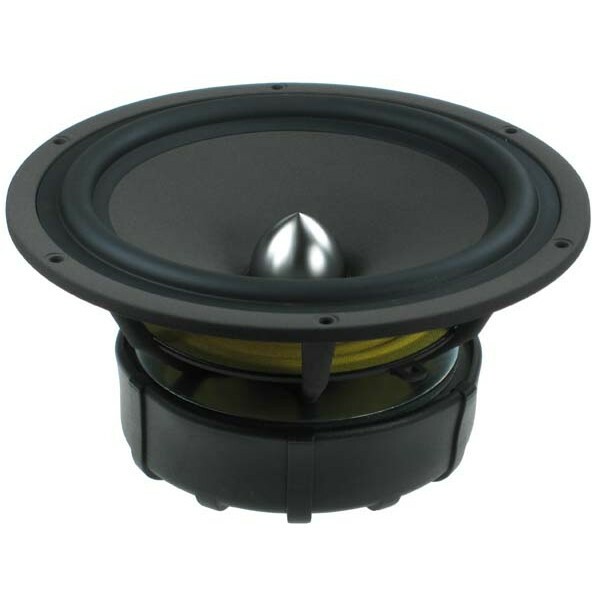 Seas W22NY001 E0045 Woofer is the world famous Seas Excel Woofer with a coated 8.5" Nextel coated paper cone with an adaptive rubber surround, giving an outstanding very smooth extended response. The large magnet motor with a bumped back plate combined with a very long light weight 39mm copper clad aluminum voice coil gives excellent excursion (Xmax 22mm p/p) , low distortion and good transient responses. Heavy copper rings mounted above and below the T-shaped pole piece significantly reduce non-linear and modulation distortion and increase overload margin.